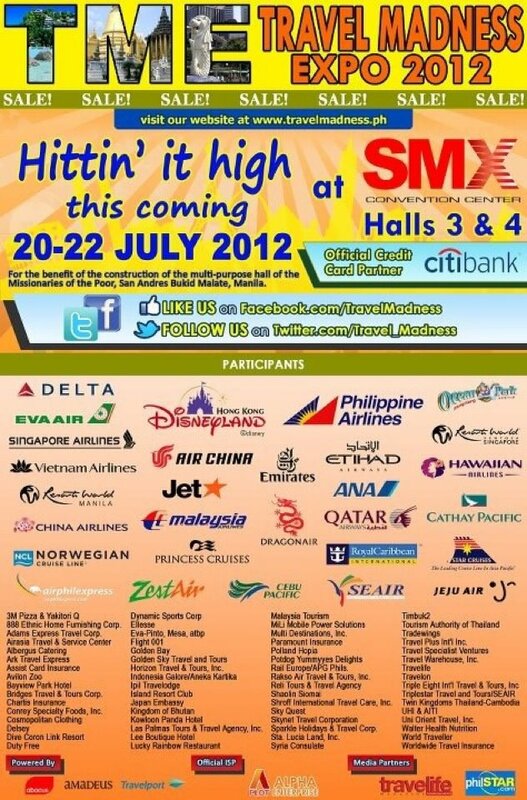 Get amazing deals at the Travel Madness Expo on July 20-22, 2012 at SMX from 10am-7pm. Great bargains on airfares, land and cruise packages, travel essentials and more! I purchased a roundtrip ticket to Honolulu during the expo last year. Only P30,000 all in via Continental Airlines, paid using my Citibank credit card, 3 month installment, 0% interest. Not bad right? Travel bugs surely should not miss this expo!